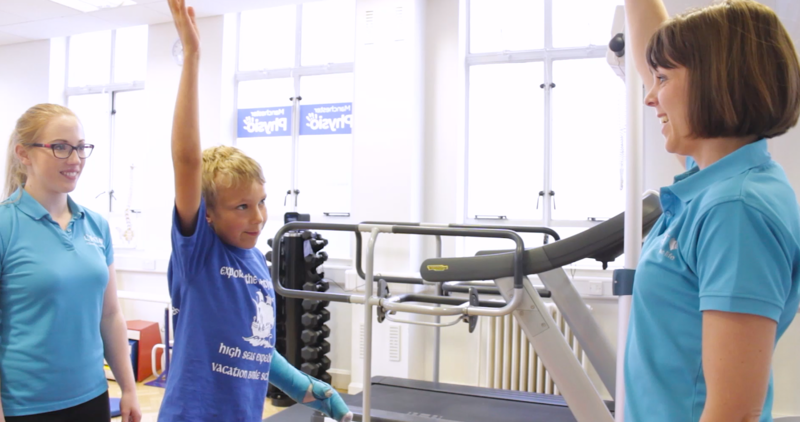 Caleb has increased ‘tone’ in his left arm when running or concentrating, meaning the muscles would tighten up and make it hard for Caleb to catch and throw! We wanted to not only make this easier for Caleb but also to improve his fine motor skills i.e. the co-ordination of his fingers. To get Caleb’s left side stronger and more mobile was the key over the next 3 weeks. To improve his fine motor skills on his right side. To increase his strength and his shoulder control on his right side. To be able to tighten his shoe laces independently. To be able to throw and catch a small ball with his right hand. When someone has hemiplegia they will nearly always have a symptom known as ‘learnt unuse’. This is when a person with hemiplegia will always attempt to achieve a task using their dominant, non-affected arm. This is repeated over and over again until eventually they start to forget how to achieve the task with the hemiplegic arm. ‘Learnt unuse’ causes pathways in the brain that send messages between the affective arm and the brain to stop working. 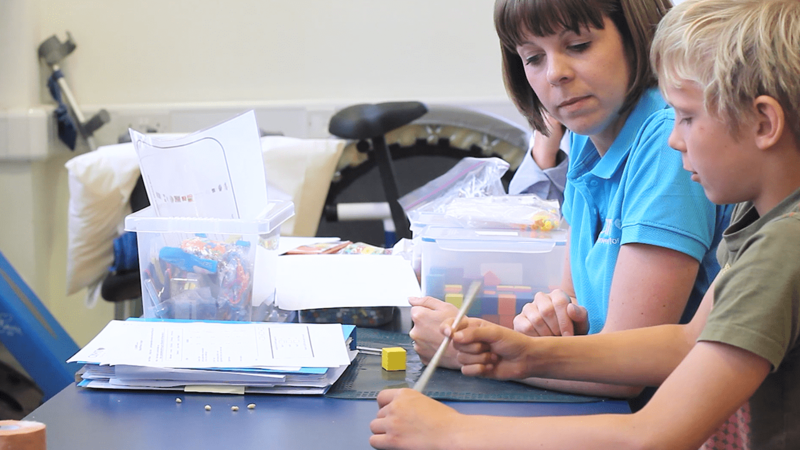 CIMT is a treatment that can help reopen these pathways and combat the effects of ‘learnt unuse’. 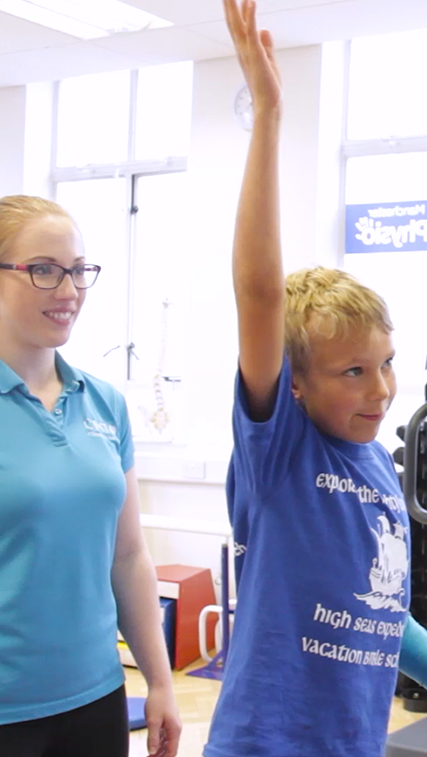 As a 9 year old boy Caleb has experienced ‘learnt unuse’ for a number of years which has resulted in a decrease in strength, flexibility, range of movement and generally a reduction in functionality. The casting process coupled with intensive movement therapy takes advantage of the brain's neuroplasticity; to make new connections. 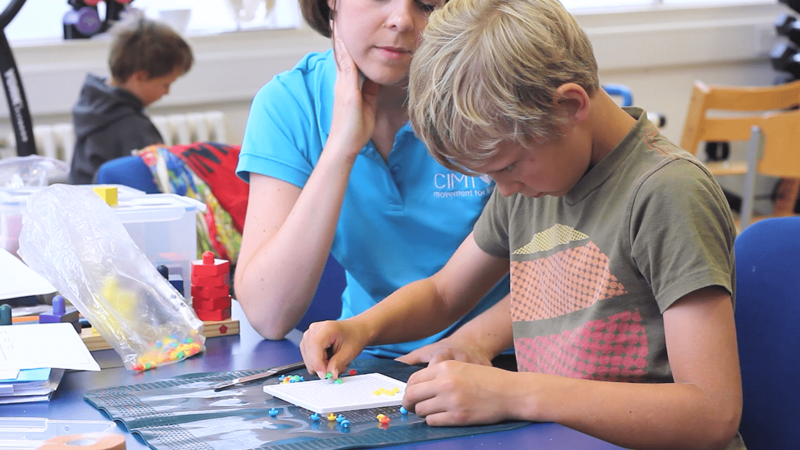 During Caleb’s bespoke CIMT programme, the pathways in Caleb’s brain will have been reorganised, increasing his ability to send messages between his brain and his arm. 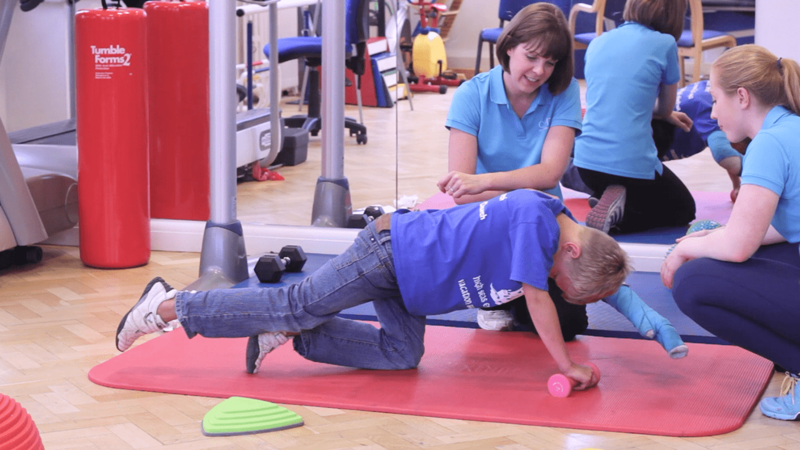 As a result Caleb was then able to improve the strength, movement and general function of his arm. Caleb can successfully use a pincer grip and can now zip up his top. 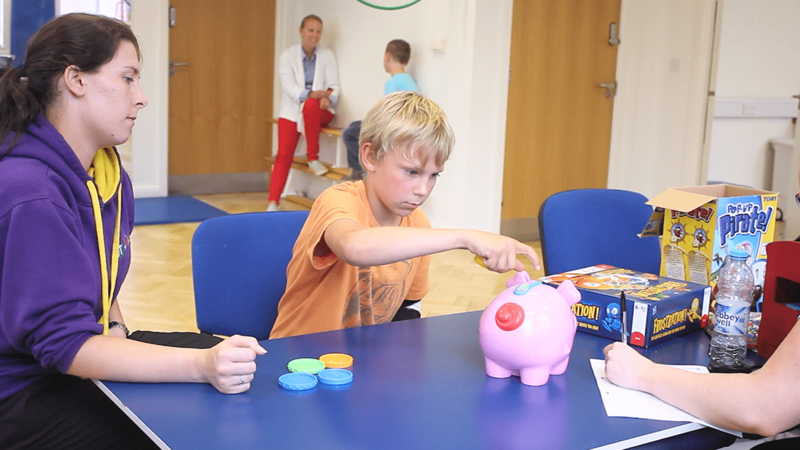 Caleb improved fine motor skills which means he can easily manipulate small objects in his hands including coins and pens. Caleb improved muscle strength throughout his arm and shoulder which gave him the ability to throw and catch a small ball with his right side only. Improved dexterity and coordination meaning that he can now tie his shoelaces with ease. 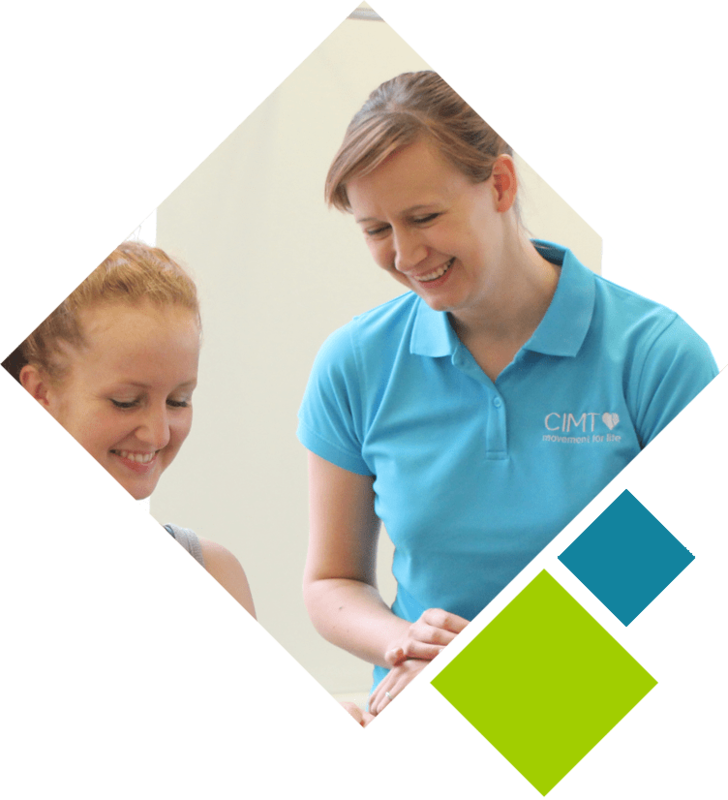 one of our specialist CIMT therapists. "He is such a happy little chap and it's great watching his CIMT journey back again" -Helen, Alistair’s Mum. "Which arm is stronger harry? - "Both of them!"